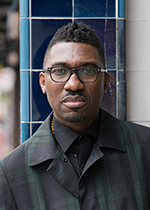 We were delighted to welcome Kwame Kwei-Armah OBE, actor, award-winning British playwright and Artistic Director of the Young Vic, as guest speaker for Awards for Artists 2018. He reminded guests of the vital role that artists play and the importance of supporting them to develop their creative ideas. Thank you so much for asking me to speak at this year’s awards. Now that the market place no longer supports that genre of music, if an independent composer wanted to dive deep into that, or any other genre not lead by market forces, where would they go? What do they do? I found myself this morning asking myself, “Who does look after the independent artist?” I of course don’t mean the agents or managers, but who gives to them and asks for nothing in return? I was 32 years old. I had written my first play, but did not see myself yet as a playwright when I was awarded a £50,000 Peggy Ramsay Award. It’s far less about the money alone. Yes, it allowed me to take the time I needed to concentrate on my craft, but most importantly it was the recognition, backed up by hard cash, that allowed me to reposition myself to myself, and those I love. In the US there are literally hundreds of independent foundations and programmes that financially support and encourage the artist in their exploration of their craft, discipline or even just financial rewards for body of work. Here, Paul Hamlyn Foundation stands almost alone. This is both admirable and sad. Of course every generation says this, but these are the days we need the artist more than ever. We need artists to understand and be comfortable being responsible reflectors. To challenge the confusion of our times through their art. But for that, they need to be cared for, to be nourished beyond the market place. So for doing just that, I thank the Foundation profoundly. But most of all, I thank the artists gathered here today and everywhere that put their ego and self-esteem and pride at stake daily, to help me see the world in a clearer fashion. To help me truly understand my surroundings and continually reinforce that the artist is an essential part of society but of the fourth estate. Thank you for being you. May more of us support you in the ways that you need us to. Because cultures and civilisations are defined not by the politics of the day, but by the art it presents.